Greening the Grid partnered with USAID's Integrated Resource and Resilience Planning project to provide customized training to Ghana's power sector stakeholders on planning for an advanced energy system that supports solar energy integration, both at the transmission and distribution scales. USAID’s Power Africa program is working with utilities and the government in Ghana with the goal of reaching universal access to electricity by 2020, in part through additional renewable resources. 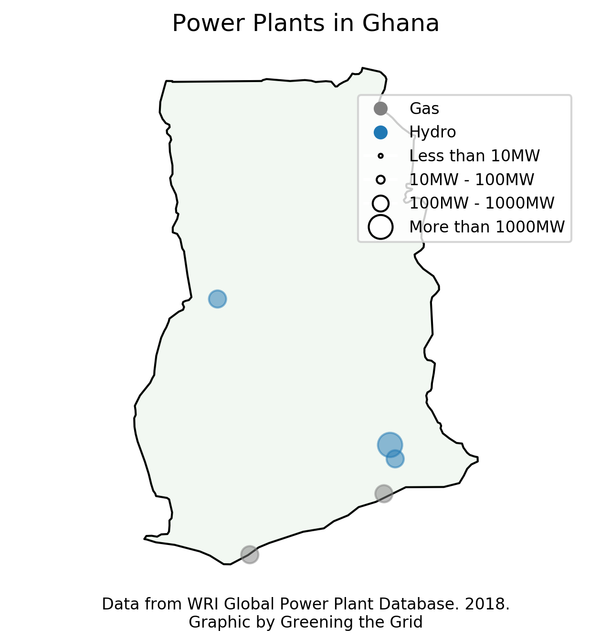 The map below shows the location, type and size of power plants operating in Ghana.